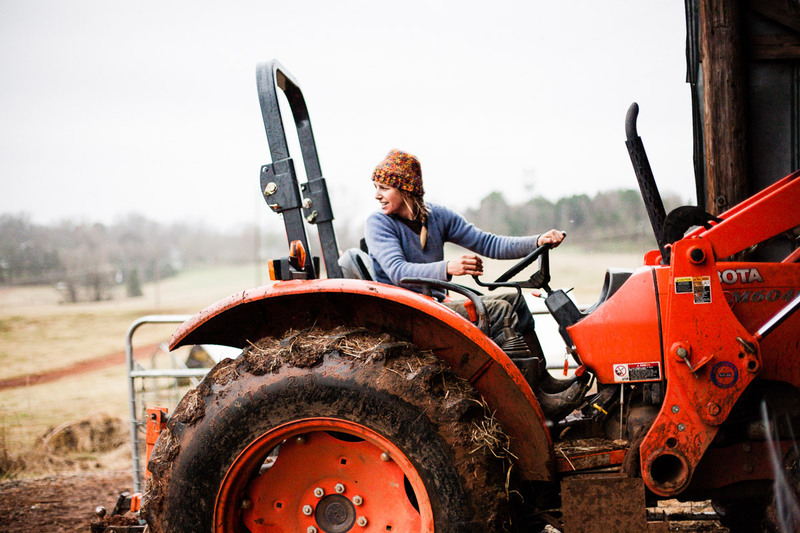 One photographer's quest to capture the female side of of farming. For former accountant and operations manager Vicky Brown, it’s no longer a 9-5 world but instead a 24-hour one that has no days off. There are morning chores and milking, market preparation, stocking the farm store, deliveries, meetings that take place in fields instead of boardrooms, evening chores and more milking. The bonus checks come in the form of the moments she steals to nuzzle the “ladies”, her Nubian Goats, before the evening milking. 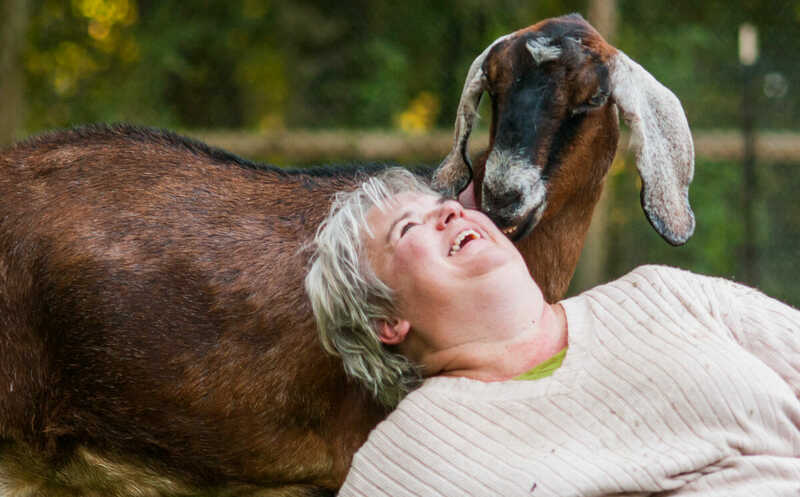 Vicky’s micro-dairy and goat farm has led the revival of dairy farms on Washington’s Whidbey Island. Her artisan goat cheese can be found on the menus of top restaurants throughout Seattle. 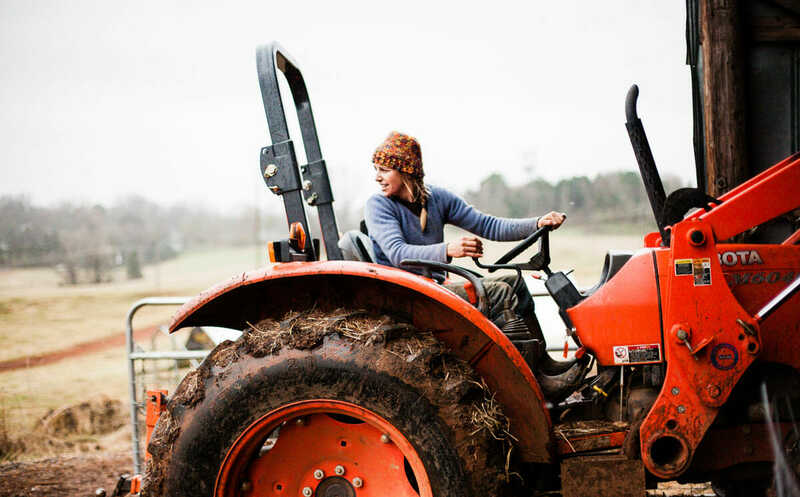 Elizabeth Clore is a former research biologist from Boston and now working towards creating a sustainable agriculture business on her family’s 200-year-old farmstead in North Carolina. When asked how her scientific training and methodology prepared her for becoming a farmer Elizabeth says she tries not to use a science paradigm when it comes to soil, animals and plants. She describes her dive into farming as an attempt to reject the control necessary in the lab and instead, describes her role as one who subtly facilitates and guides the natural system. The rewards for Elizabeth have been great–she’s making tangible impressions on her customer’s lives, working a job and creating a life that feels natural. Many young farmers can attribute their success in farming to their mentorship with Michaele Blakely. 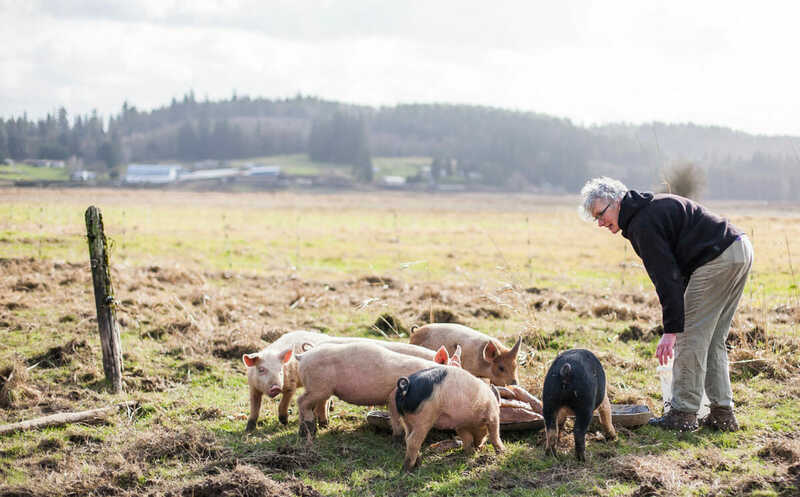 As the original organic farmer in the rich and verdant Snoqualmie Valley of Washington State, she has established her place in history. As the sole owner and operator Growing Things Farm, she has managed to keep her small polyculture farm productive and sustainable. She recently raised the funds needed to elevate and repair the farm’s homestead that was damaged by years of flooding. This restoration will help to ensure the family farm’s existence for future generations. Though the path to farming was laid out before her, Lynn Swanson’s journey took a couple of twists and turns before she settled into her destiny as a 4th generation dairy farmer. 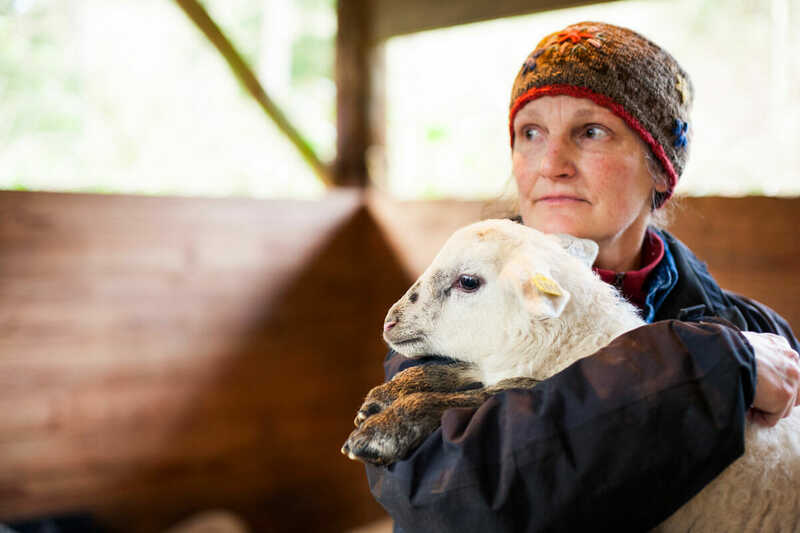 As a former clothing pattern maker and fiber-art designer, it seemed only fitting that she would opt to raise sheep instead of cows for her dairy. The mediums she now finds herself working on are wool made from her sheep’s yarn and award-winning cheeses made from their milk. Lynn has created an artisan livelihood built on the seasons–one she calls worth working hard for. 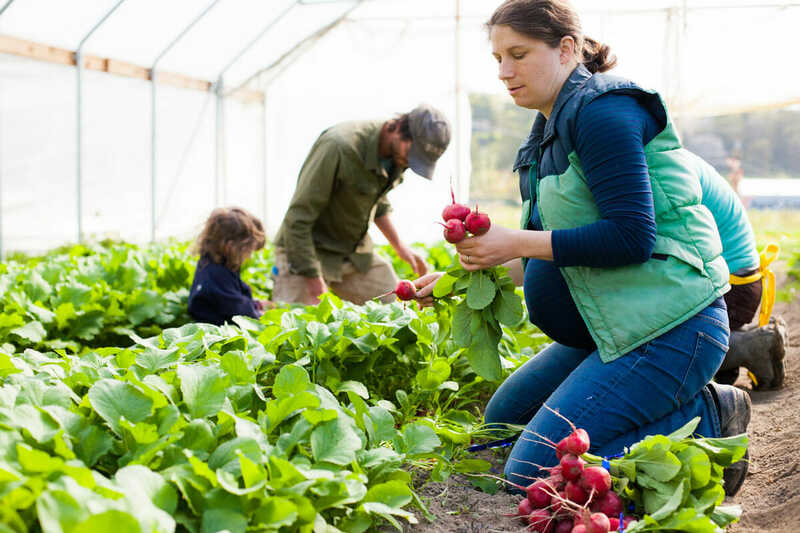 It’s a busy morning harvesting radishes for a restaurant order that just came in, managing a crew of nine, and trying to keep her three year-old occupied with the worms that have been unearthed. Siri Erickson-Brown will only be busier when baby number two makes an appearance this month. 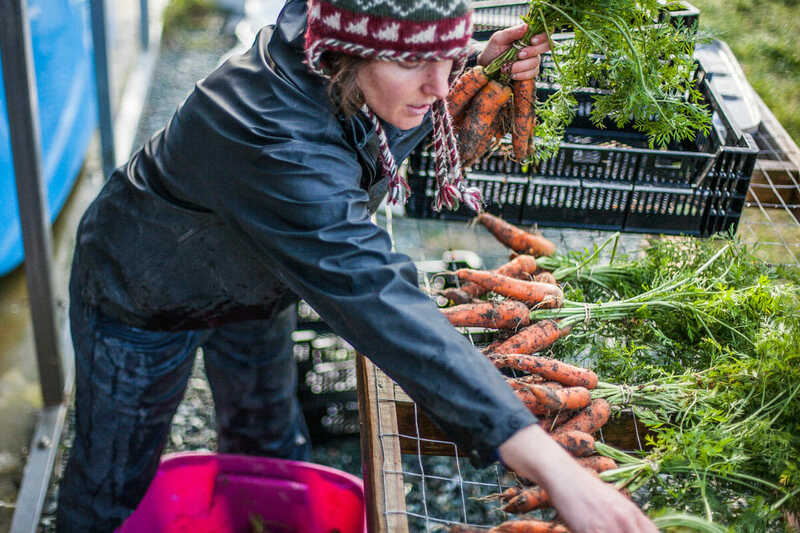 This former public administrator relies heavily on her organizational skills as she manages an 80-acre farm with a 400 person CSA along with weekly restaurant and farmers market orders. She has also created opportunities for others by incubating and launching several farms, including a flower farm and chicken egg operation from her land. As a former Capitol Hill journalist, Suzanne Nelson passionately loved politics and her participation in the representative government. It was ‘intellectualism as sport’ until several events caused her to question her previously unexamined ideals and lack of connection to the land that she so dearly loves. She quit her job and, quite literally, ‘dropped out’. Later, when unable to find the kind of food she wanted to feed her family, she bought a dairy cow, Greeley, who became both the impetus and the beginning of her farming career. It’s a life that she approaches each day with as much careful thought, passion and energy as she did Capitol Hill days, but now her ideas and ideals will change the world from the ground up. For more on Audra Mulkern and the “Female Farmer Project” visit www.audramulkern.com.